You know Christmas is on the way when you’ve wrapped your hands around a warming glass of hot, fragrant mulled wine. The traditional festive beverage, usually made with red wine together with various mulling spices and raisins, has been served hot or warm since the 2nd century. But far from being just a festive novelty to be glugged at the fireside in the lead up to Christmas, there are plenty of great health benefits that go along with a freshly brewed batch – aside from the well-known feel good factor. Here are a handful of reasons to start mulling your red wine stock this week. 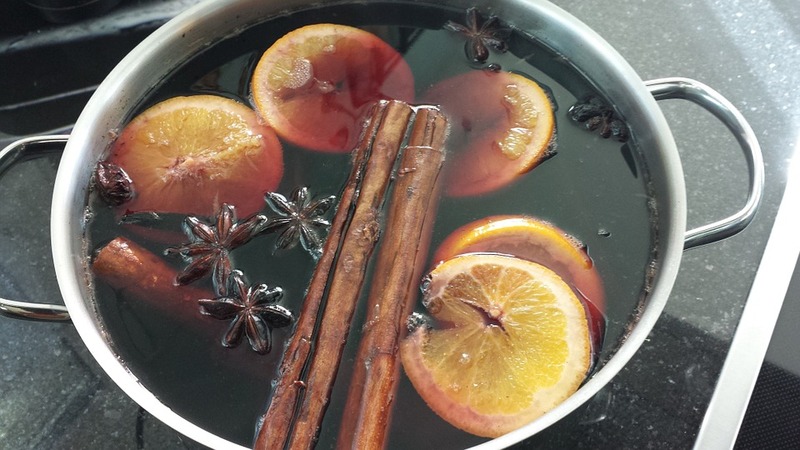 What’s a great jug of mulled wine without a couple of sticks of cinnamon sticks floating in the mix? Well, aside from adding that ‘Christmas in a glass’ taste, cinnamon contains antioxidants that have potent anti-inflammatory activity that can reduce swelling and restore normal tissue function. Drinking red wine in moderation can slim your risk of osteoporosisby increasing bone mineral density of both men and women. A recent study showed that women who drank 11 to 29 grams of alcohol a day, the equivalent of one to three glasses of wine, had greater bone mineral density, measured in the hip region of their thighbones, than nondrinkers or heavy drinkers. Nutmeg, a common spice in mulled wine, acts as a tonic in many different ways, and therefore boosts the overall health of your body. More specifically, It cleans out the liver and kidney of all the toxins that may be stored there from alcohol, drugs, pollution, food, or natural organic toxins. Antioxidants in red wine combat damaging free radicals that play a role in aging and age-related diseases. There is a high concentration of antioxidants called polyphenols, including resveratrol, in wine that can keep you looking younger for longer. But remember – it’s only a glass or two that will keep the doctor away, not the whole bottle.